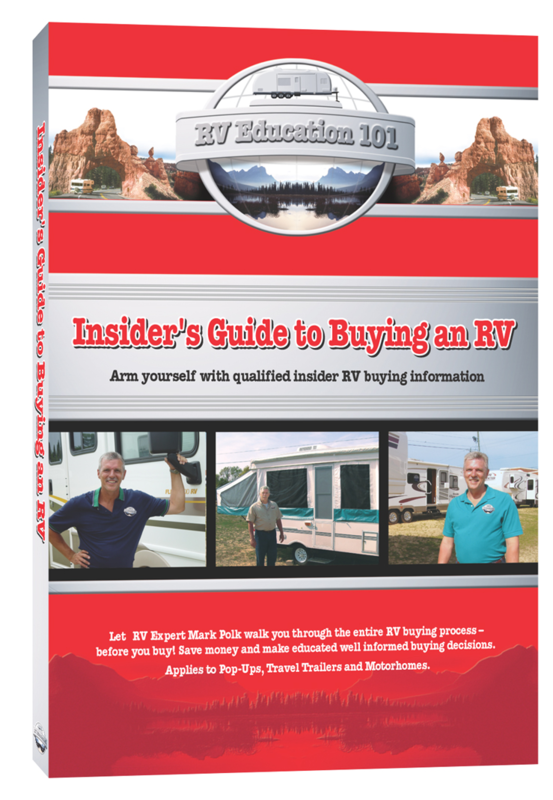 The Insiders Guide to Buying an RV Printed Storefront > RV 101®- RV Summer Safety > RV How To Free Video Tips, presented by RV Education 101® > ..
Mark Polk, the RV savvy guy on TV and producer & host of America's most highly regarded series of RV videos, books, and e-books explains everything you need to know about buying an RV. Mark is proficient in RV repair and maintenance, and he was the Sales Manager & Finance & Insurance Manager for an RV Dealership for many years, giving him valuable insider information as an expert in the RV buying process. And when you're finally ready to go shopping for the perfect RV, there is one of Mark's valuable RV buyer's checklist included, so nothing is overlooked. Educating the consumer on how to use an RV was one thing, but what about selecting and buying the RV in the first place? Purchasing an RV is a major investment, similar to buying a house. It is after all your home away from home and you need to slowww down the RV buying process and make some educated, well informed decisions. When you purchase an RV it's easy to overlook something, forget to check something, or most importantly not be properly informed about something. Whatever the case may be, you don't realize it until after you buy it and then it's too late.Owning an RV is meant to be fun. Making the wrong buying decisions can make it miserable rather than fun. If you follow the steps in this RV buying guide you will be on your way to an enjoyable RV ownership experience for years to come. "When we were in the market for our first RV we didn't know much about them, except that we wanted one. 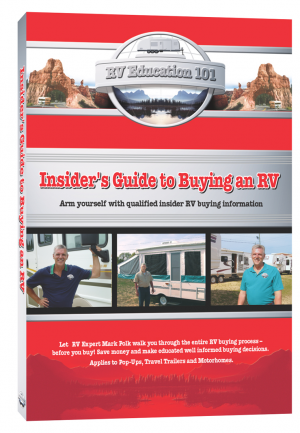 While researching the subject I ran across the Insider's Guide to Buying an RV, and every page in the book answered the questions I had and many more I didn't even think about. Not only did it help in deciding the type of RV right for us, but it prepared us for shopping phase as well."